Halfway House is located within Earlsfield and offers a good selection of drinks including cocktails, fine wines and craft beers. Food at the Halfway House reflects the best produce available produce with an emphasis on pub classics alongside a bar menu of American bites. Do you work at Halfway House? The garden is partly heated with seating and tables. The food was absolutley dreadful. 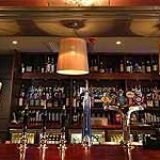 The bar looks warm and cosy but the staff are bland and seem not interested. I would not recomend this place. Earlsfield is a good night out now on Fridays, very surprised. Sorry I put 5 stars by mistake. Dreadfull food and even worse service! This Pub is decorated very nicely and the food was good for a Youngs pub, however, the drinks are extremely high. I asked for a Glass of Sauvignon Blanc and it was over £8! Not a bad pub, good if you want to be anonymous! Having recently returned from travelling, I was pleasantly surprised to see that the Halfway House has had yet another refurbishment. It is now a little brighter and approachable and altogether more accomodating. Unfortunately as pointed out by the user below me, the staff are still utterly useless, the prices border on the truly disgusting and their pitiful attempts at cocktails could almost bring a tear to your eye. So as bad as it was before, it's still no better, but at least it feels clean now, although it can only be a matter of before the shine on the paint fades. really enjoy coming to this pub. the refurb is really good and the service is fantastic. i drink here regularly and always indulge in the delicious bar snacks they have on offer. definently recommend this pub if you want a quiet drink or a night out with friends! 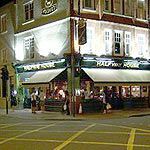 Halfway House is a real locals’ pub; most Londoners put off by Earlsfield’s lack of tube. A short stumble from the train station, it’s probably not worth a lengthy trek but makes a decent enough spot for a quick pint if you happen to be in the area. Earlsfield is psychologically far away from Central London, being a – shock horror – train ride away. However, in reality, it’s only a few minutes on a train from Waterloo, not exactly a trek up Mount Kilimanjaro. Still, unless you’re a local or happen to be in the area, Halfway House is never going to be a destination venue. 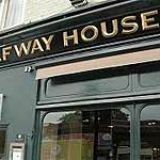 A sprawling building, traditional in its exterior appearance, Halfway House is a short stumble from Earlsfield train station, which makes it less painful if you’re being dragged there by mates who are local. Entering through the double glass doors you’ll be enveloped in a simple pub with little to recommend it. 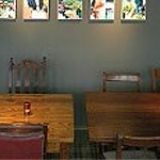 Wooden furnishings in the form of an array of tables and chairs for varying group sizes peppers the large floor space, offering plenty of options in terms of seating. The colourscheme is neutral, with a dark green skew, although they have made the effort to be a little different with some rather random light fittings in the form of tiger heads holding long metal rods in their mouths, with a granny-style lampshade at each end. Random. The main complaint is the poor layout of the bar. The space consists of two large rooms, segregated by a central, narrower corridor that houses the bar. The constricted space quickly becomes packed full of people on a Friday night, making traversing the bar from end to end or ordering a drink uncomfortable. To the right of the bar is the glass and plate collection point, sandwiched right up against a large table. Having staff constantly running to-and-from this crammed space every 5 minutes with handfuls of glasses quickly grates on everyone’s nerves. The toilets are small, cold and a little bare, but they’re clean at least and, like everything in this pub, they do the job. 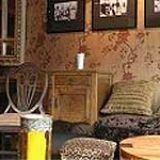 Like many pubs in the Youngs chain, Halfway House is all about offering a chilled out atmosphere. They keep things interesting with a pub quiz every Monday at 8.30pm for £1 a person. Meal deals are offered throughout the week, such as Burger Day on Wednesdays, and Ladies Night is every Thursday when all pink drinks (think roses, pink cocktails and pink pinots) are on offer, raising money for Breast Cancer Care. Weekends take on more of a party feel with the after-work crowd letting loose on Friday nights to a funky soundtrack. The volume levels increase as the night wears on and the drinks continue to flow and the atmosphere is laid back and relaxed. Although this is a locals’ pub, there’s no feeling of cliquey exclusion. Saturdays crank it up a gear with themed and fancy dress parties. Although the punters are cheerful on the whole, the staff could take a leaf out of their book. Some of them obviously annoyed at having to constantly crush through the crowd to clear glasses border on rude, barking orders at customers to get out of the way. Staff behind the bar are friendlier, but still appear quite harried by the demand for drinks. Typical Youngs dishes pepper the menu at Halfway House and you can expect large portions to satisfy your hunger. It may not be haute cuisine, but the grub here is surprisingly popular and there aren’t a lot of complaints. Starters include simple dishes like haddock and salmon fishcakes (£5.50) and tuna salad (£6.50). A large choice of sandwiches are available. Mains are surprisingly expensive given what you’re getting, with the 8oz rump steak coming in at almost £13, but the portions are hefty and the quality not bad. There’s a good draught selection at Halfway House, including Youngs Bitter, Bombardier, Peroni, Fosters Super Chilled, Kronenbourg, Leffe, Guinness Extra Cold, Addlestons, and Erdinger Weissbier. Corona, Pacifico Clara and Bulmers Original bolster the selection in bottles. If you prefer the grape to the grain then there’s a rather lengthy choice of wine on offer, ranging from £15-£23. Well described and sectioned by grape and region, it makes selecting a bottle an easy task. They make a big deal of their cocktails on blackboards strewn across the pub, but they only cover a handful of classics and are almost £7 a pop. Just don’t go expecting mixologist-quality concoctions. Halfway House does what it says on the tin. It’s a decent stop-off if you’re on your way home after a long day and you happen to live in the area. I was really surprised to read all the review about 'dreadfull food & even worse service'. I'd like to share with you about my experience. Me and my friends had a girly night in Earlsfield. We ended up in The Halfway House and indulged in wine and their sharing plates. We didn't even have to move from our table and our waiter recomended the matching wine with our snacks. He couldn't have been more helpful. Even though it was busy Friday night, the bar staff were friendly and having fun with customers. In the middle of our party there was a Tequila man offering the shots. Anyway, I would definitely recomend this place for having a nice night out.